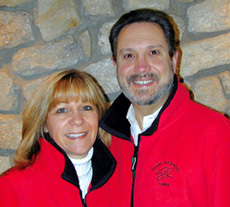 Dale and Howard Batterman are the proud owners of Diamond Ridge Camps. Aunt Dale and Uncle Howard are also the long-time Owners/Directors of Sesame/Rockwood Camps and Rockwood Adventures Teen Travel in Blue Bell, PA. They each bring over 30 years of experience in camp administration and education. Diamond Ridge is located in Warwick Township, on the former site of Bucks County’s well-known Camp Neumann. The beautiful, 33-acre tree-lined property is the perfect setting for a memorable summer experience. Build your summers with us here at Diamond Ridge!